Greece’s conservative main opposition party has warned EU Economics Commissioner Pierre Moscovici to be “more careful”, following speeches in which he praised Alexis Tsipras’ left-wing government and the country’s exit from the bailout. Moscovici visited Greece on 3 July and spoke before the Greek parliament saying that the bailout programmes are over for Greek people and a new era lies ahead. On 22 June, the Eurogroup reached a “historic” deal on debt relief for Greece, solving the last political hurdle to conclude its rescue programme after more than eight years. “Greece will walk with the partners next to her, but will be free and autonomous,” Moscovici said. Referring to the plans for a further cut to pensions next January, Moscovici left the door open, saying that “commitments must be respected, but they are not rigid”. However, Moscovici’s optimism is not shared by Kyriakos Mitsotakis, the leader of Greece’s main opposition New Democracy party (EPP). At a meeting with the French politician, Mitsotakis stressed that there would be no clear exit in August. He explained that no other bail-out country had been made subject to future commitments, additional measures and strengthened supervision. “He (Moscovici) has to respect the sacrifices made by the Greeks, the unnecessary [sacrifices] imposed on the citizens in the last three years, but also those which unfortunately the government has signed for the near future,” New Democracy said in a statement. 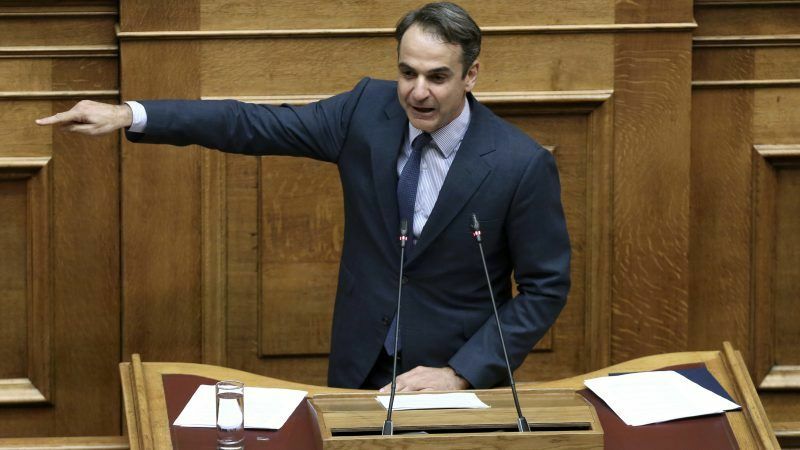 Mitsotakis insisted that there was a fourth bailout, which will be implemented after the official exit in August. Contacted by EURACTIV.com, the office of Commissioner Moscovici declined to comment on Mitsotakis’ statements. The Syriza-led government has frequently accused the main opposition of serving the interests of the “old establishment” that led the country to the edge of collapse. Tsipras says that Mitsotakis is using any available tool to derail the economy’s return to economic growth to force a snap election before August. “New Democracy gets angry with those who recognise the positive steps of Greece, the end of the memorandums, the debt relief. This time they turned against Moscovici. Before, they deleted Konstantinos Michalos from the party,” noted Dimitris Papadimoulis, Vice-President of the European Parliament. Konstantinos Michalos is the President of the Athens Chamber of Commerce and Industry and Deputy President of the Association of European Chambers of Commerce and Industry (Eurochambres). He was recently expelled from New Democracy for welcoming the recent Eurogroup agreement and the recently brokered compromise on the long-standing name dispute with Macedonia. New Democracy was also disturbed by Michalos’ opposing to snap national elections. Greece is “politically stable”, he told EURACTIV in an interview last year. 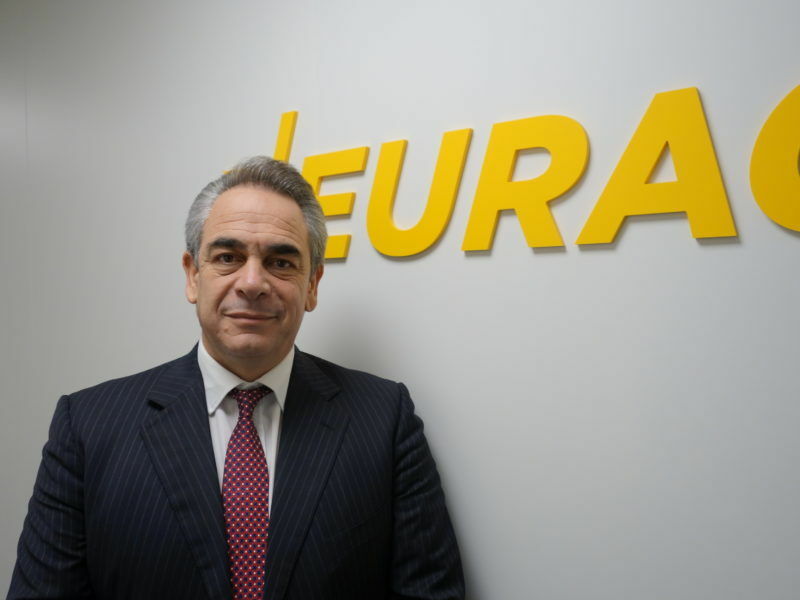 Greece is politically and economically stable and now it’s the time for productive investment that will create jobs and increase the country’s GDP, Greek business leader Konstantinos Michalos told EURACTIV.com in an interview. “I could never imagine a modern party that invokes transparency and meritocracy to use Erdogan’s methods to get rid of internal opponents real, potential and imaginative,” Michalos recently stated.